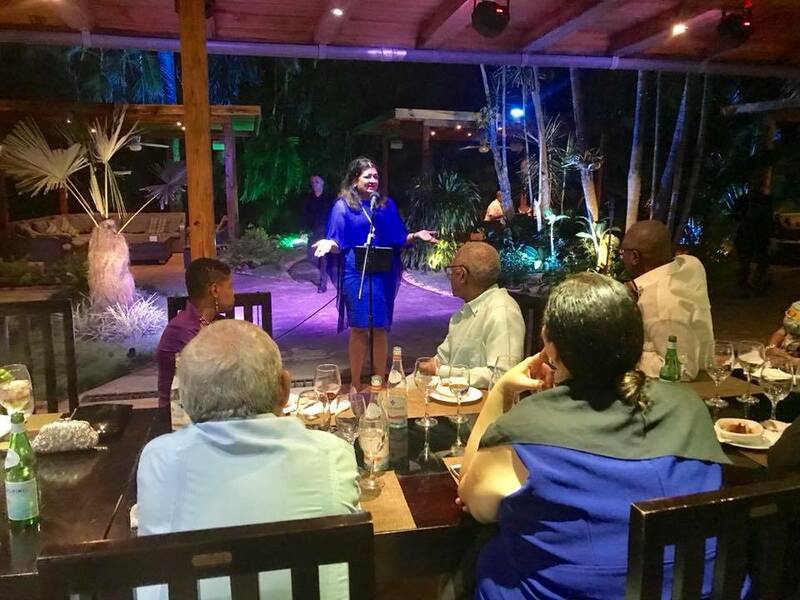 Founder of the Guyana Foundation, Mrs. Supriya Singh-Bodden addressed a gathering of Ambassadors from numerous Caribbean Countries on the evening of Wednesday 15th November, in Havana, Cuba. She presented to them some background on the work of the Guyana Foundation and explained the recent collaboration of a Mental Health Conference between the Guyana Foundation and The University of Medical Sciences in Ciego De Avila. The purpose of the upcoming conference in January 2018 is to deal with alcohol addiction, domestic abuse, child abuse and suicide. Mrs. Singh-Bodden made it clear that this event will not just be another talk shop, but will see these highly accomplished professionals assisting afterwards with the preparation of material that will be used during groundwork in the villages. This is easily understandable and is all in an effort to reach those persons who are suffering in silence and cannot find a way to reach out for help. She further encouraged these Ambassadors to ensure that in their own countries they put mental health on the front burner. Unfortunately, in delivering her presentation, she said that we live in a world where funny cartoons can no longer be the normal diet of childhood; that was good in a simpler world. In order to successfully navigate our troubled world, we have a duty and a responsibility to give our children serious coping skills from a young age. Using as many tools as possible, cartoons with a purpose, apps with a purpose, child yoga with a purpose for example and tons of love attention and support. At the end of the presentation, everyone in attendance pledged their support. Among some of the persons pledging their support were visitors to Cuba, not associated with the gathering, but overheard Mrs. Singh-Bodden presentation and approached her. One of those persons had experienced suicide in his family that has left its scars while another had experienced domestic violence and more. This just shows the urgent relevance of these issues and the Guyana Foundation is willing to work along with appropriate organisations to address them. Mrs. Supriya Singh-Bodden addressing a gathering of Ambassadors from numerous Caribbean Countries on Wednesday evening, 15th November 2017 in Havana, Cuba.